March 17th 2017. We are delighted to congratulate our long-term Cambodian partner Indochina Starfish Foundation (ISF) on their new Sport Court thanks to Connor Sport Court and Beyond Sport (with a recommendation from CAC)! 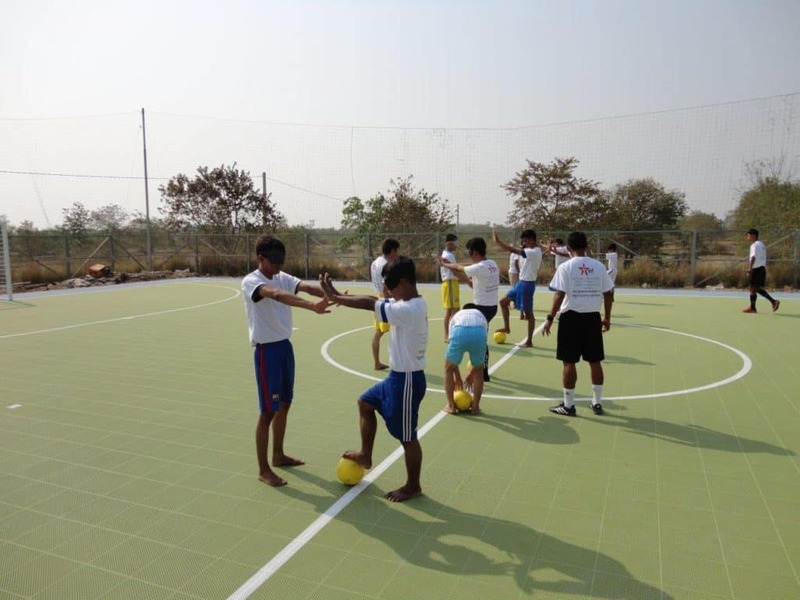 The brand new futsal court was installed at their new football facility outside of Phnom Penh, Cambodia. It will be used by ISF to continue to empower disadvantaged children in the community through sport and education. They celebrated the new court by hosting a ribbon-cutting opening ceremony and football competition with more than 600 children in the U-14 and U-10 age categories. They also included an inspiring demonstration with vision-impaired youth playing futsal with special “chirping” footballs. Coaches Across Continents has partnered with ISF to help them develop their capacity for educating youth through sport for 4 years including filming our documentary from there in 2015. It is always incredibly special to see our partners grow and better offer high quality programs for their community. We can’t wait to see the new court in person when we return to Phnom Penh in August this year. This is the second Connor Sport Court we have helped our partners receive and build following the court in Kigoma, Tanzania. Thanks to Connor Sport Court for their ongoing commitment to building the capacity of organizations involved in sport for social change. Next: Join Us as a Global Citizen in 2017!